THE SEINE AND THE BRIDGES OF PARIS - Discover Paris differently ! 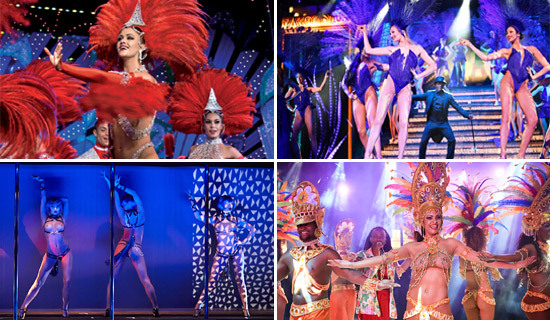 From the Quai de Bercy to the Quai d'Orsay, through the Ile de la Cité and the Quai de la Tournelle, close to the Jardin des Plantes and the Parc du Luxembourg, the Seine and its surroundings are a real place to ride and entertainment. 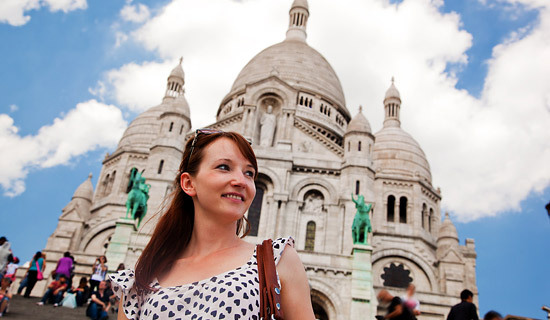 In summer, the Seine give the possibility to visitors from around the world to discover Paris as ever. These walks have delighted most poets, photographers and other artists passed through the French capital. To discover or rediscover Paris from a different perspective, nothing better than performing a walk on the Seine and let you carry by the waves admiring 2,000 years of history. 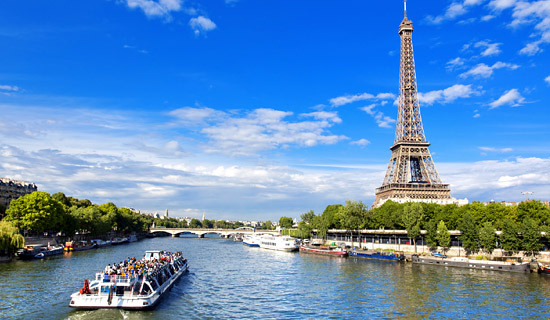 The river cruise is a must to visit Paris ! 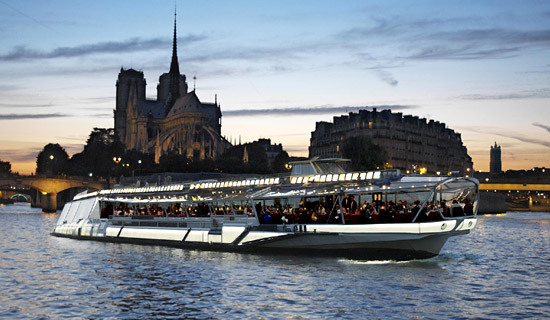 The Vedettes de Paris and the vedettes du Pont Neuf offer cruises on ships to human size, while the Bateaux Parisiens and Bateaux-mouches boats have very high capacity. 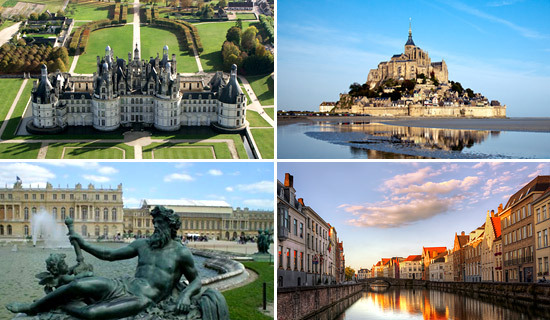 Eiffel Tower, the Louvre, the Place de la Concorde, Orsay Museum, Notre Dame De Paris, etc... ; Under your very eyes will parade the most beautiful monuments of the capital. You may decide to leave you with the flow by embarking on one of the famous Bateaux-Mouches to admire the most emblematic sites of the capital, or the Vedettes de Paris Vedettes du Pont Neuf and offer different types of cruises, such that the visit « Paris by night » which offers a different view of the city : with its bridges and its illuminated monuments, the capital takes on the appearance of a huge movie set. These cruises usually last an hour and are commented in several languages ​​for you to discover the history and monuments of the most amazing stories that took place there. The quiet atmosphere and the long walk through Paris they provide are the banks of the Seine one of the busiest tourist passages by both Parisians as the many visitors wanting to explore the historical sites of the capital. Here are the most important. Le Vert-Galant is the nickname given to Henri IV, the great king and bold seducer. The square, which is accessed by stairs from the Pont Neuf, inherited the royal nickname and doing great. At the tip of the Ile de la Cité, dominated by the imposing equestrian statue of the monarch, this die turf sewing with a few trees form an intimate hideaway, gallant if you feel like it, to admire the two sides of Seine, bridges and monuments. On the left bank, between the Pont de Sully and Pont d'Austerlitz, the Quai Saint-Bernard landscaped garden hosts works by contemporary artists such as Brancusi, César and Gilioli. Paradise for joggers and walkers and outdoor sculpture museum the day, he also turns on the evenings of spring and summer, open-air dance floor. Enthusiasts and beginners from all over the world it gives appointment for salsa dancing, rock and tango to the waterfront. warranty magic! Former cargo port, the Port de l'Arsenal connects the Seine to the Canal Saint-Martin. Originally designed as a bulwark to enemy attacks, it now welcomes pleasure boats, seagulls and restaurants of seafood, to the delight of Parisians and visitors will forget the rumors of the capital! L'île de la cité is the cradle of Paris, where developed the original core of Lutece. It is considered the « cradle of Ancient city of Paris » by Clovis, and it houses the treasures of our history. Located in the heart of the capital, is one of two natural islands in the Seine. Located in the 1st district and surrounded by the 4th, 5th and 6th, it is connected to the rest of the city by 9 bridges. The Ponts de Change, of Notre-Dame and d'Arcole allow to link with the Right Bank. The Ponts Saint-Michel, Petit Pont, the Double et de l'Archevêché permit for their rally the island to the Left Bank. The Pont Saint-Louis, he is the only bridge providing access to the Ile Saint-Louis, his neighbor. This is also where installed two outstanding institutions for the city: the Quai des Orfèvres and the police headquarters. It takes about half an hour to the Ile de la Cité tour via the Quays, but you have a whole day to visit all its monuments. 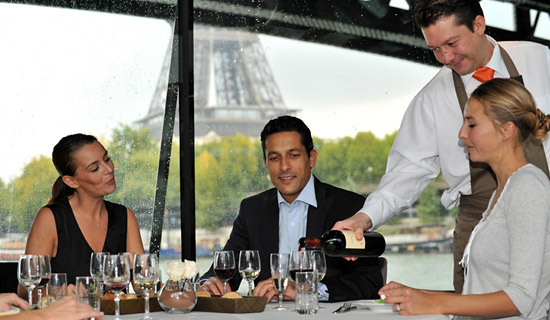 You will find in addition to countless magical views of Paris, many companies or restaurants that offer experiences that will appeal to you such as visits to Paris by boat on the Seine cruise dinners, and more! Smaller than the Île de la Cité, it is doomed to a rather residential function. There are many mansions enrolled historical monument, including the Hôtel Lambert. In addition to these magnificent mansions, you will discover the Church Saint-Louis, which was built in the seventeenth century. For food lovers, know that you will taste the best ice cream in Paris all on this small island at the Maison Berthillon. Its pretty typical Parisian storefront of the last century will make you enter the palace of a thousand and one flavors. Enjoying your ice cream, you can have a coffee in the tea room, which is paired with the shop. The thirty-seven Parisian bridges offer breathtaking views of the city view of the river and thirty-seven beautiful stories of kings, battles, legends to be discovered before a magnificent panorama. Here are unavoidable. The Pont Neuf is the oldest bridge in Paris. It marked a new beginning for the construction of bridges in the Middle Ages. For the first time, Parisians could enjoy a view of the city from a bridge, hitherto hidden by the houses and shops that crowded the bridges of Paris. Construction was started in 1578 by King Henry III, but political problems have delayed the opening until 1603 under the reign of Henri IV. The structure spans the Seine between the 1st and 6th arrondissement, and represents a point of crossing the capital for Paris. September semicircular arches supporting the bridge on the main arm of the Seine, and five arches on the other arm of the Seine. On this bridge you can admire the statue of Henri IV built in 1614 and destroyed during the Revolution and replaced by the current. Place du Pont Neuf. Loved by his people, and known for his good humor and his love affairs, Henry earned his nickname : Le Vert Galant. The Pont des Arts, also called Passerelle des Arts, crosses the Seine and connects the Louvre's square court at the Institute of France. It owes its name to the Louvre Palace, formerly called « Palais des Arts » under the First Empire. This bridge, listed building since March 17, 1975, was built between 1802 and 1804. Designed for pedestrians, then it was the first metal bridge in Paris. The original bridge collapsed in 1979 and the current bridge was rebuilt almost identically between 1981 and 1984. The number of arches from nine to seven, so they are aligned with those of the Pont Neuf. First metal bridge in Paris, the Pont des Arts is also one of the most romantic places in the capital. Indeed, it appears frequently in films or advertisements. 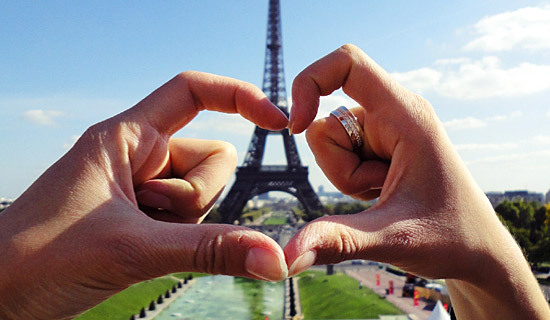 But above all, couples from around the world hang padlocks to symbolize their love. However, it is not possible to hang new ones, as it has become too heavy due to the weight of the padlocks, the bridge might collapse and the City of Paris has therefore removed them. Inaugurated on the occasion of the 1900 World Exposition and historical monument, the Alexander III bridge is one of the most emblematic of the city, its architecture and its location. His four ends are flanked by monumental towers 17 meters high, ornamented at the top of gilded bronze Pegasus. They represent the Hall of Arts, Science, Commerce and Industry. Pont Alexandre III connects the Invalides on one side, the Grand and Petit Palais on the other. The panoramic view of the buildings, the Eiffel Tower and the Seine are therefore a very popular place to walk, day or night. Latest born, the pedestrian footbridge Simone de Beauvoir, with a total length of 304 meters with a range of 190 meters, was created by the Austrian architect Dietmar Feichtingher. Its molded steel laminate structure consists of two crossing curves. They reserved for pedestrians and bicycles. Opened in July 2006, the Simone de Beauvoir footbridge connects the front of the Bibliothèque Nationale de France and Bercy Park. In central part, the meeting of two curves - arch and catenary - form a lens that provides a single public place, suspended in the middle of the river. He still have thirty - two bridges that you can freely discover in Paris and just as impressive as the bridge that leads to the Double feet of Notre-Dame, the pont Marie that crosses the Ile Saint Louis... !